God of the Bible can save your boat of life from drowning. The story of the Bible starts with the concept of creation known as ‘Genesis’. God created day and night, sea and land, trees and plants, animals and birds big and small. When He finished this He took mud and created man in his image and breathed life in him. He gave him power over all created things. He was suppose to be fruitful and multiply. Man was formed as a combination of body, spirit and soul and he has free will to know and follow God,s instruction. He was given a beautiful accommodation in the garden of Eden. But his being alone was observed as not a good thing by God. He decided to take a bone closer from his heart and created woman. Now they were a family in midst of beautiful garden with every provision available to them. But there was prohibition to eat the fruit situated in the garden known as tree of knowledge of good and evil. Snake the most cunning among animals God created came to woman as a representative of satan who is enemy of God. 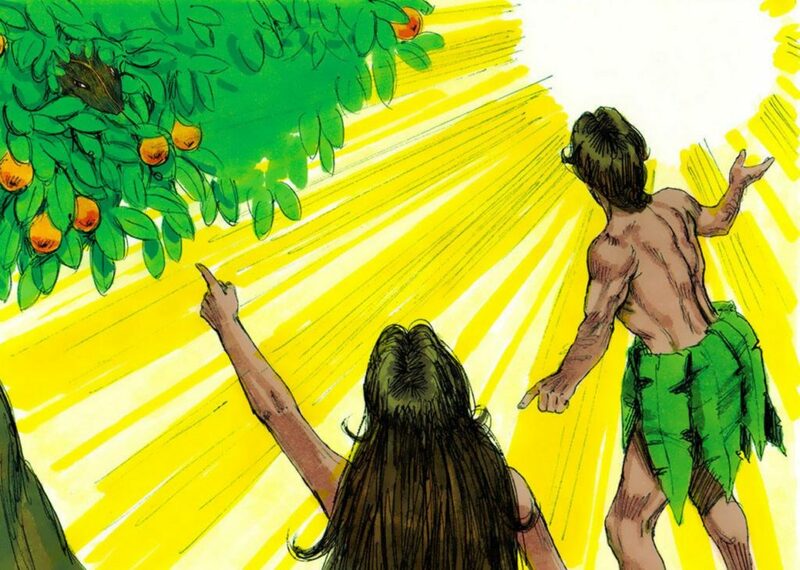 He persuaded her to eat fruit of the forbidden tree because it is so good to look at. She insisted that God has said,’ No’ to do so. But his response was that God does not want you to know the secrets of His kingdom. So she believed snake and broke the fruit ate herself and gave to man. The results of disobeying God was aweful. They started feeling naked, embrassed and tried to hide their bodies with fig leaves. God gave them such a wonderful opportunity but they missed it. Judgement followed for all three, for man curse to earn livelihood the earth through sweat till the end of his life and go back there after death. Woman had to have birth pain while delivering the baby and snake to be beaten on head by man. The result of this disobedience is seen on our lives at home in societies and nations today. The story continues man and woman give birth to children, families grow but the effect of power of sin brings violence , evil, immorality, jealousy etc.The result of evil brings war, femine, drought, disease and lack etc. The spread of evil makes God’s heart sick and full of pain and he feels sorry of his creation and decided to destroy it. But Noah a righteous man who walked with God finds favour and immunity from destruction. God instructs him to make boat and take 8 of his family members with each pair of animal and every provision of life. When Noah is ready the rain starts and earth starts flooding all over. Everything God created is destroyed by water, nothing is left. But Noah and his boat starts floating and after 40 days rain stops. God now feels other way around and remorseful for his destruction. 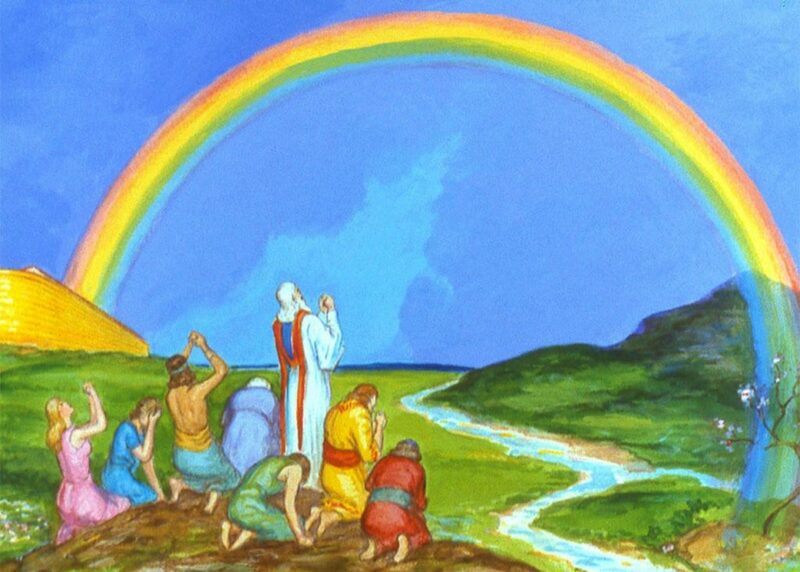 He decides never to destroy the earth again and sends rainbow as a sign of covenant with man .Even today we can see that the rainbow is visible after excessive rain. Now the children of Noah start growing but power of sin brings evil and pride in their heart. They develop technology, brick making and make high tower bulidings. One day they say let us make a high tower to touch God and rule over him as well. Since they spoke one language at that time, God sent confusion among them and they started speaking many languages without understanding each other. This gave birth to various nationalities, language groups and nations. This story continues on next page. Please click, ‘God of miracles’.